1. Choose a Topic: You should have more liberty to decide what you should write about if your course instructor has not assigned you the topic. You should choose a topic that is relevant to the subject, and you should also have interest in the topic. You should come up with strong points for the topic. Use examples as guides to help you write a perfect essay. 2. Creating an Outline: You should include introduction, body, and conclusion in the outline of your paper. Your introduction must include a short definition of the concept. You have to utilize thesis statement and background research in introduction. 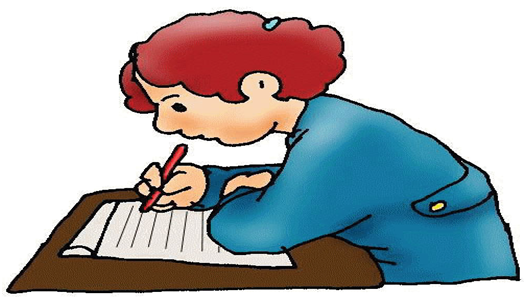 Body of your essay will cover the type of essay you are writing. For instance, if you are writing a compare and contrast essay, then you should compare two things in your body. You will form a different body if you are writing a cause and effect essay. In conclusion, you will provide summary of the main points of your essay and restate your thesis statement. 3. Compiling Essay Sections: You should breakdown your essay into fragments; it will be easier for you to manage your essay. First, work on a single paragraph. When you are done with the first paragraph, then you should move on to the next one. You should follow this method to complete your whole essay, because this approach will help you organize your essay perfectly. 4. Revise and Edit Your Essay: You should look for errors in your essay after you have created the last draft. You should look for spelling mistakes and grammatical errors in your essay. If you ask your friend to proofread your essay for you, then it will definitely help you proofread your essay. 5. Read Your Essay Aloud: After you have edited your essay, then you should read it aloud. Reading aloud will make you sure whether you have conveyed message in your essay successfully or there is something lacking in your essay. 6. Read Your Essay One More Time: You should carefully read your essay again by paying attention to individual sections namely, introduction, body, and conclusion. Look at college essay examples, and make sure that you have utilized the right style for your essay. 7. Checking the Sources: Checking the sources is also an important part if you are writing a college essay. Make sure you have utilized citations in your essay correctly. If you do not cite the resources correctly, then you will definitely lose marks. Therefore, you should cite your sources correctly.